Kalu dodol is a dark, almost gel-like candy, made from jaggery, coconut milk, and rice flour, which is said to have been brought to Sri Lanka by immigrants from Malaysia. 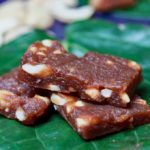 That said, there is a school of thought which suggests that kalu dodol may have actually originated with the occupying Portuguese in the 16th century, while others claim it was Indonesian settlers who brought with them their technique for making this delicious confectionary. 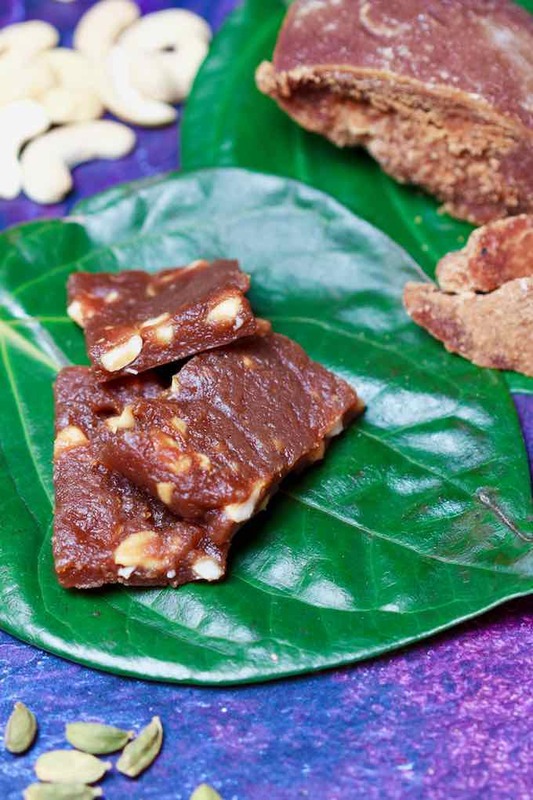 While its true origins have disappeared into the mists of time, kalu dodol remains one of Sri Lanka‘s most popular sweetmeats, and like kaju aluwa, is traditionally made and eaten in April, during Avurudu, the Sinhalese New Year celebrations. Hambanthota, in the south of the island is perhaps most famous for being the kalu dodol capital of Sri Lanka, and actually, if you look at the region’s history, the suggestion that this dodol was introduced by people from Indonesia makes sense. Why? Because it was there that traders from Indonesia settled. Fun fact #1: Hambanthota gets its name from the ships the Indonesian, Thai, and Chinese merchants arrived in – sampans. Thota is the Sinhalese word for “port”, so Sampanthota (and later, Hambanthota) quite literally means “port of the sampans”. The kalu dodol industry is a major source of employment and income for the people of Hambanthota, not least because there’s a thriving trade to be had, selling the candy to pilgrims making their way to nearby Kataragama, which is home to a syncretic temple, serving Hindus, Buddhists, and Muslims. It’s also home to a 2,300-year-old sacred Bodhi tree. Sinhalese Buddhists believe that Kataragama was sanctified by Buddha himself. Made in large amounts, kalu dodol is incredibly time consuming, and is best made with two people working in tandem… which is why in the main, most folk, especially those with busy, modern lives, prefer to simply buy it from shops. 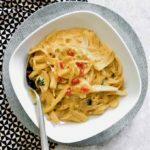 That’s not to say that there aren’t those who still make it the traditional way, and of course, as with almost all Sri Lankan cooking, although there is more or less a standard method, there is no one actual definitive recipe. 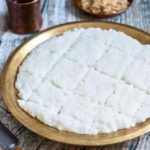 Kithul jaggery is mixed with coconut milk and rice flour, and then boiled in a pan until it has reduced to around half of its original volume. 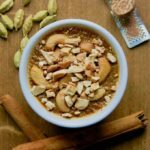 Spices and cashews may be added, and then it’s simmered, stirring continually to prevent burning, until the coconut oil begins to separate out and float to the surface. This oil must be removed or else the candy will be greasy. The kalu dodol is ready once it’s become thick and jelly-like, at which point, it’s poured into a suitably-sized tray, and left to cool before cutting up. 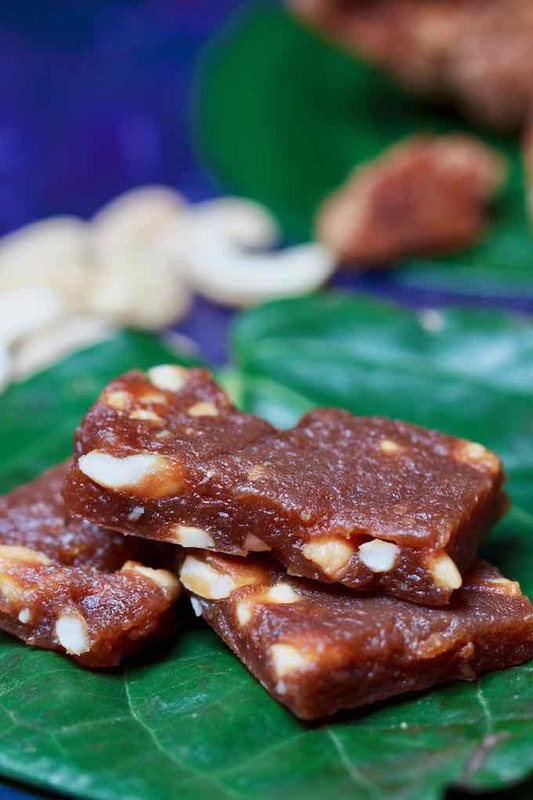 As well as spices, such as cardamom or cinnamon, and cashews, kalu dodol may be also be made with fruits such as raisins, jackfruit, and soursop. Jaggery is a soft, deep brown sugar with an almost smoky caramel taste, which comes from the sap (toddy) taken from the base of the flower cluster of the sugar palm, Caryota urens. Kithul is the Sinhalese word for this huge palm, which grows to be on average, around 40 feet tall. Fun fact #2: the leaves of the kithul are stripped away from their spines, which are then used to make fishing rods. It’s quite a sight to see Sri Lankan fishermen use these rods while perched on poles in the shallows of the Laccadive (Lakshadweep) Sea! Unlike the sugar we take for granted in the West, which has had all the goodness removed (and then marketed separately as molasses), jaggery is actually a whole food, full of nutrients and micronutrients. Once the sap has been collected from the toddy palm, it’s left to stand in a large container to allow any sediment to collect on the bottom, and then the pure sap is strained off. The next stage is to boil this clarified sap in large shallow flat-bottomed pans, skimming off any additional impurities which float to the top. Once the water content has been boiled off, what’s left is a thick, viscous, dark sugar concentrate. At this point, the jaggery can either be bottled and used as a treacle, or poured into moulds and dried in block, cake, or ball forms. 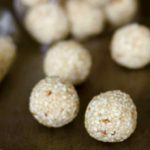 It can also be formed into bite-sized pieces, and sold as candies, which are tooth-achingly delicious! 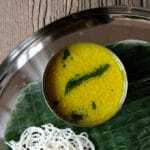 Although there are videos online which show you how to cut the cooking time by cooking kalu dodol in the microwave, I feel it’s better to get to know it by making it the traditional way first, before branching out into more modern methods of production. 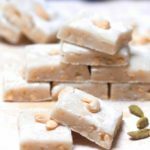 My advice is therefore to set aside a couple of hours when you’ll be free of distractions so that you can concentrate on making the best kalu dodol possible, and then enjoy the deep, rich flavor of this traditional Sri Lankan candy. 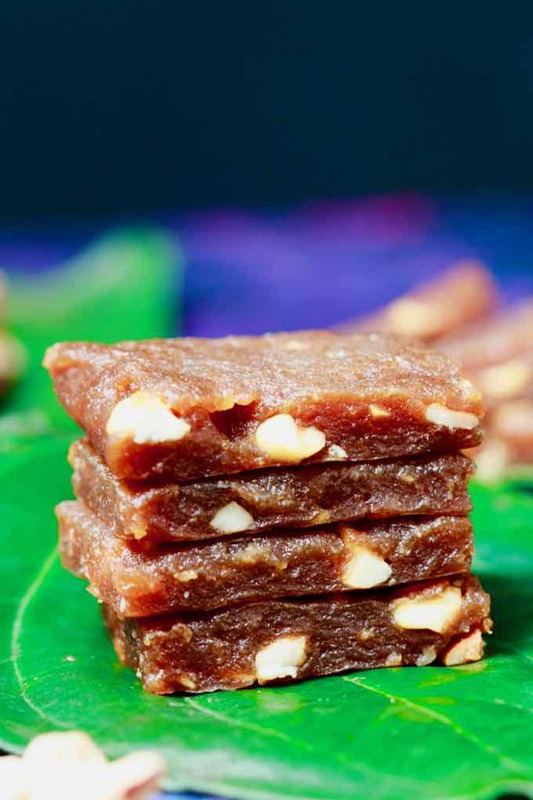 Kalu dodol is a dark, almost gel-like candy, made from jaggery, coconut milk, and rice flour, which is said to have been brought to Sri Lanka by immigrants from Malaysia. Crush the cardamom seeds into a powder, and set aside. Place the coconut milk, jaggery, and rice flour into a large, shallow pan (a kadai is ideal), and stir until the sugar has dissolved. Bring the mixture to the boil, over a medium heat, while continually stirring. After 15 minutes or so, the mixture will be very thick. Stir in the cardamom and cashews. Keep stirring, pushing the mixture away from the edges of the pan, toward the middle. After about 40-45 minutes, you’ll have a thick, glossy, jelly-like mixture, and the oil will start to separate, coating the pan. Start folding the edges in toward the middle. After 55 minutes or so, the oil will have separated enough for you to be able to remove it. This is where it’s useful to have another pair of hands, so they can remove the oil while you push the dodol out of the way. Continue to keep folding and removing as much oil as possible for another 10-15 minutes, then turn out into a shallow baking tray, and set aside to cool. Once it’s cool, cut into squares, rectangles, or diamond shapes. This kalu dodol will keep for a couple of weeks in an airtight container at room temperature. A non-stick kadai and a diffuser are perfect, and mean that the kalu dodol is less likely to catch!